The Peabody Essex Museum invited me back as a guest artist for their Arts Adventures Club, a summer program for creatively ambitious kids who want to develop portfolios over the summer. 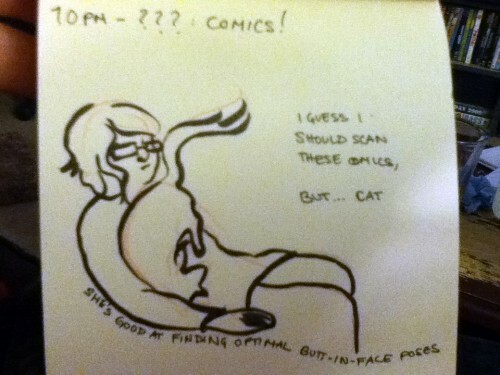 As resident cartoonist, I’ll be teaching a unit on making comics. I’ve had really wonderful experiences there and I can’t wait to go back in a few weeks! At the end of each session, the kids hold an exhibition in the lobby of the museum, and last year the event fell on my birthday. 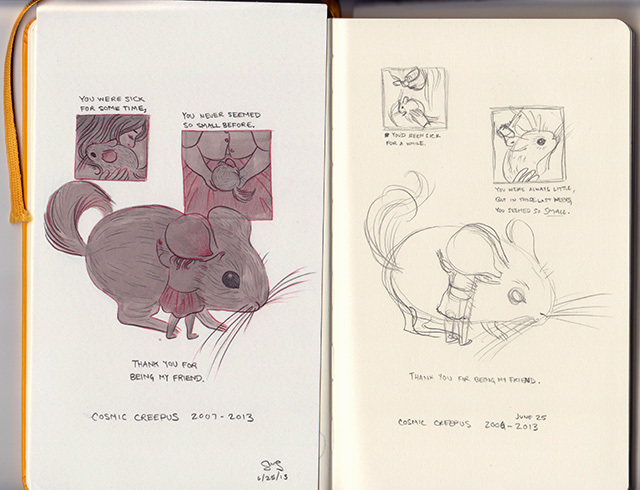 A bunch of them made copies of their cartooning work as gifts. Best. Birthday. Ever. The week after that, I’ll be shipping up to White River Junction, Vermont to participate in the Graphic Novel Workshop at the Center for Cartoon Studies. I’ve been teaching so long now, it’ll be amazing to spend five blissful days focusing on improving my own work amongst like-minded folks. It’s been far too long since I’ve been on the receiving end of creative instruction. I am so very, very stoked. That being said, I am always available to do cartooning and other storytelling-related workshops! 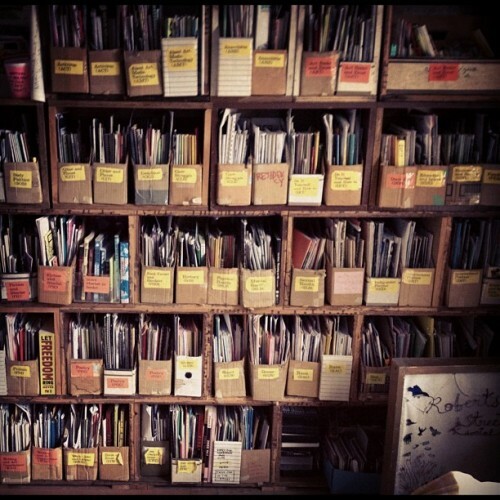 I’ve held them at many schools, libraries, museums, and other community-oriented organizations. To learn more, visit my workshops page. J. M. Barrie’s Peter and Wendy (read it for free on Project Gutenberg) will forever be one of my favorite books. It has its flaws, but all in all, it’s a very different story than the Peter Pan play (and, consequently, Disney movie) version. Someday I would like to do a full graphic novel adaptation which sheds light on the darker aspects of the story, including the intriguing mythos behind it all. 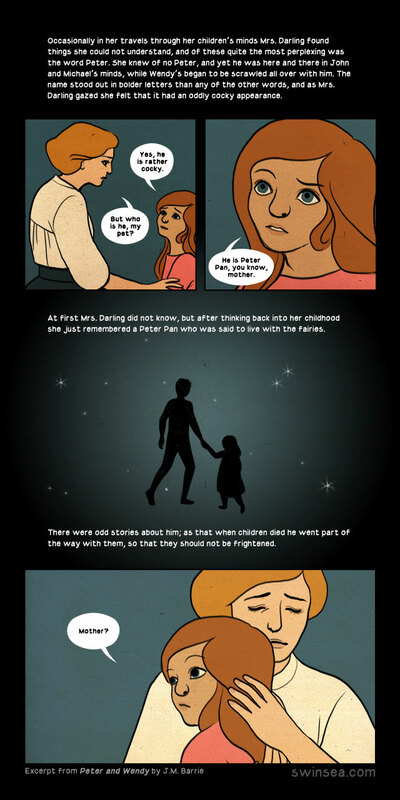 This little comic is based on my most favorite bit of the entire story: Mrs. Darling’s recollection of Peter Pan. ‘Yes, he is rather cocky,’ Wendy admitted with regret. Her mother had been questioning her. ‘Oh no, he isn’t grown up,’ Wendy assured her confidently, ‘and he is just my size.’ She meant that he was her size in both mind and body; she didn’t know how she knew it, she just knew it. Until I can put my own twist on the text, I’m enjoying fellow Maine cartoonist Renae De Liz’s own (totally gorgeous) adaptation. Follow it on the website! It’s been a rough few weeks. 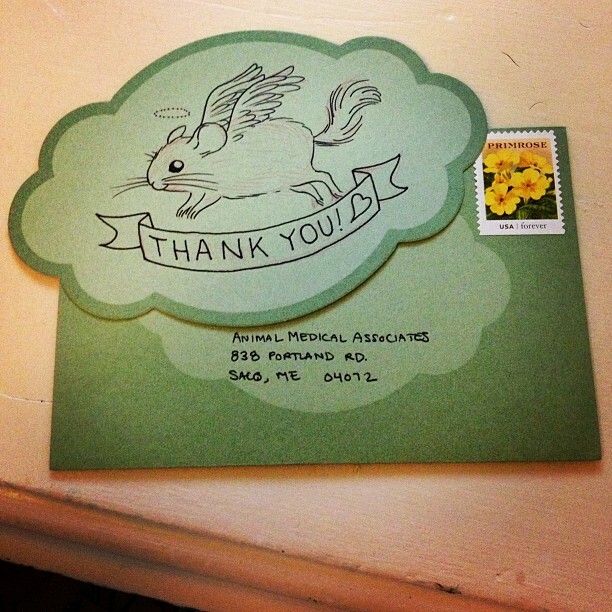 My chinchilla, Creepus, fell ill again, and I ended up having to make the difficult decision to put him to sleep. He’d been sick for a while, it was only a matter of time, but it was rough all the same. At this point I’m just grateful that I had him in my life as long as I did. He was an awesome little dude. 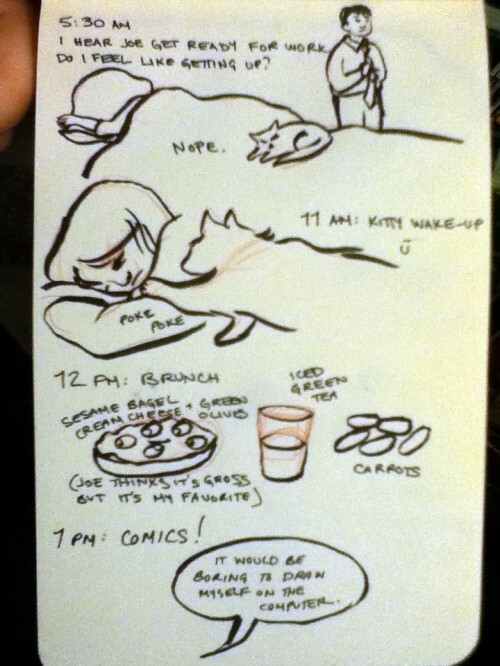 Around the same time as this last bout of chinchilla illness, my cat also got sick. I took her to the animal hospital with a fever of over 105. She spent the night, came home with lots of drugs, and while it was very stressful, having her treatment to focus on was a nice distraction from the empty place left in my room where Creepus’ cage once sat. In order to give her the medications, I had to wrap her up in a towel. 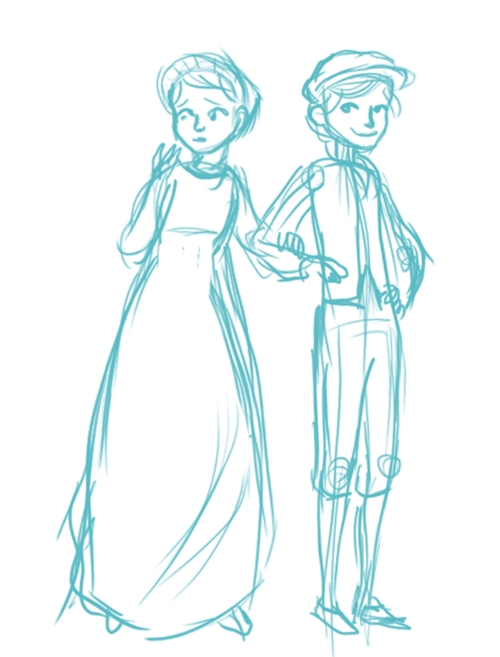 My grieving process apparently consists of drawing lots of ridiculous homages. 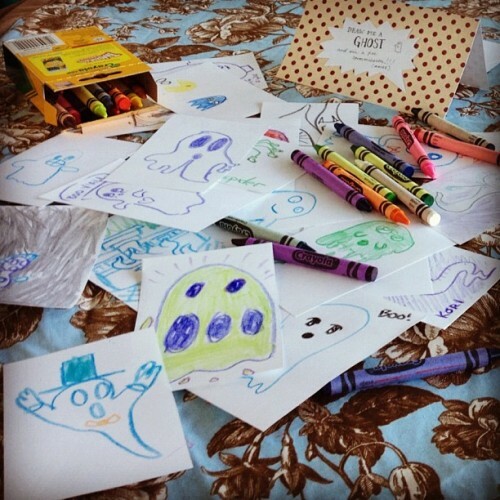 I channeled a bit of that energy into sending Creepus’ vet a card; they were amazing with him and I can’t recommend them strongly enough to anyone looking for a vet in southern Maine. 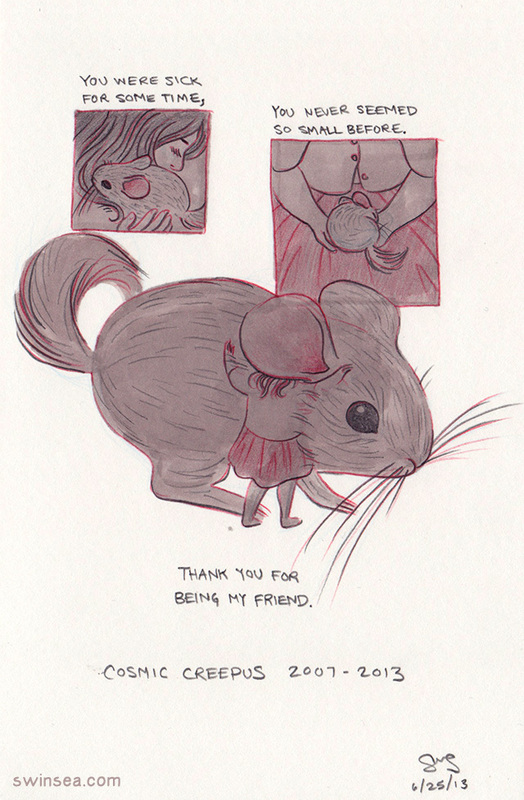 I’m going to be an exhibitor at MICE this September in Cambridge, MA! Check out the show website for more details. I drew a rather sassy scene in Lora Innes’ Director’s Cut Edition of The Dreamer issue #14! You can read it by signing up for her newsletter on her website. 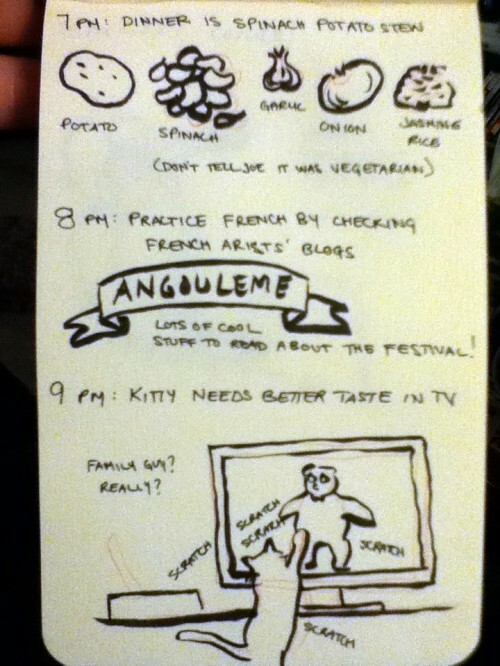 There are other guest-drawn scenes by some very talented people! As you can probably tell, swinsea.com got a recent facelift. 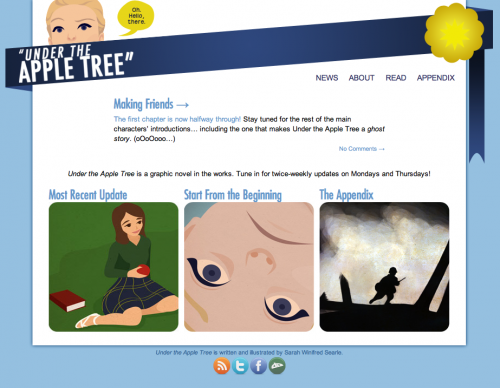 Huge thanks to CSS guru Kate Lee for turning my ideas into a functioning WordPress theme. Please let me know if you notice any bugs! 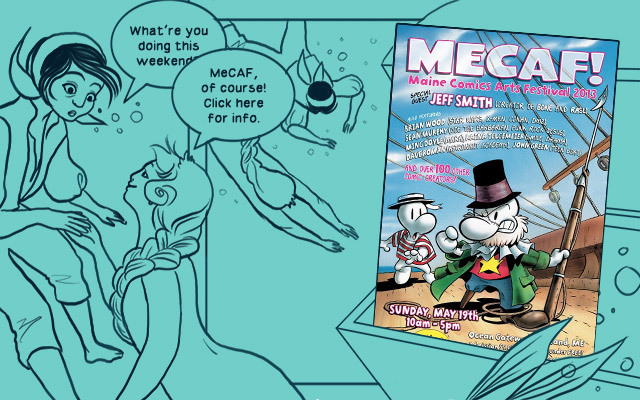 This weekend is MeCAF/the Maine Comic Arts Festival, and I’ll be tabling alongside my old MECA classmate Kori (check out her comic Prince of Cats)! 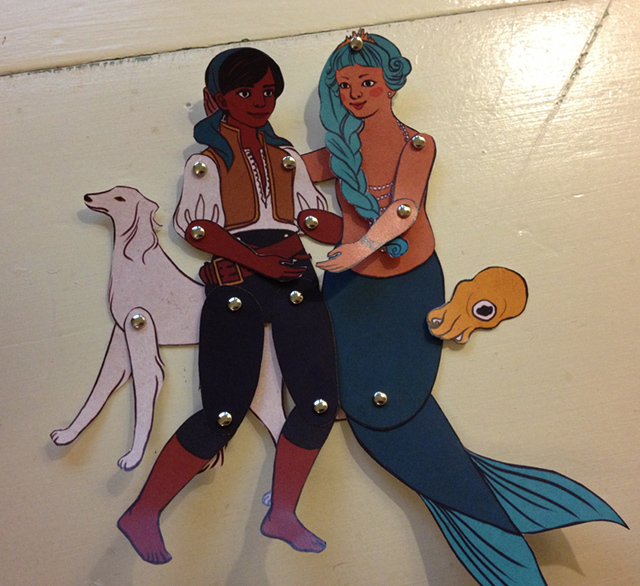 I’m bringing my Treasure Chest o’ Free Stuff (ancient postcards and other materials I’d like to clean out), a con sketchbook zine-type thing, and paper dolls (if you bought some from me and want the instructions on how to assemble, go here!). 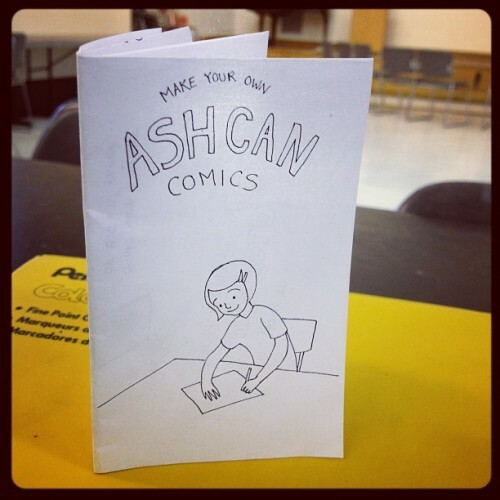 I’ll also have copies of the ashcan comics activity that I bring to schools/libraries/museums for workshops and coloring pages. 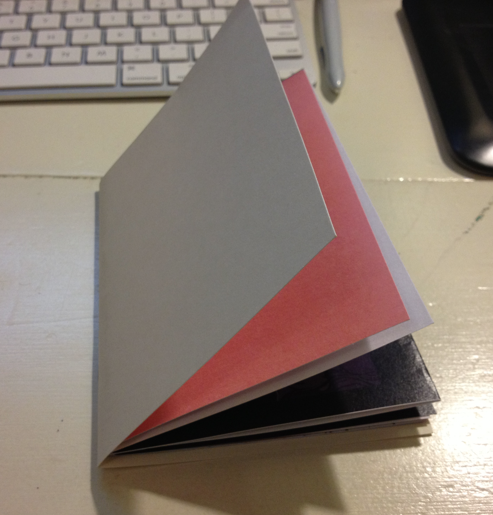 I got a little too into making the sketchbook and did something a little different for the design of the book. 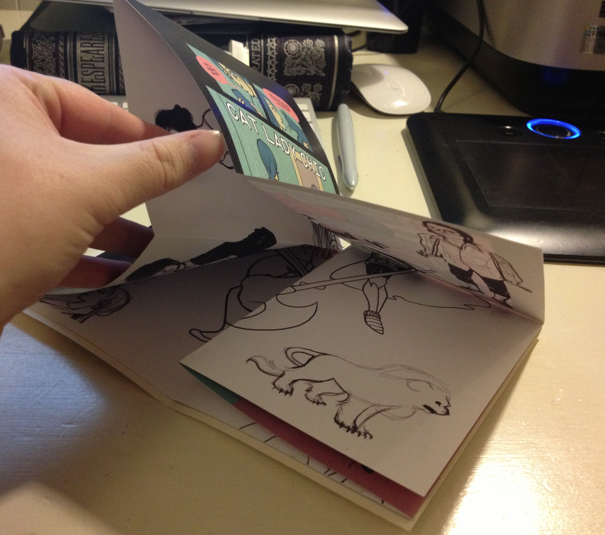 It’s an ashcan comic folded inside plain card stock –– so not only is it a printed sketchbook, but every copy I sell will have a free sketch included on the cover! Be sure to drop by and say hello! 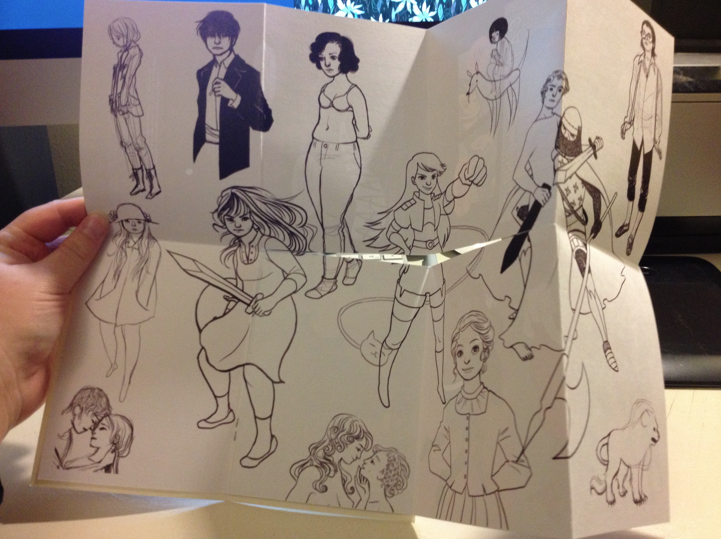 Update: Check out the paper dolls I brought here! Want to hear more? 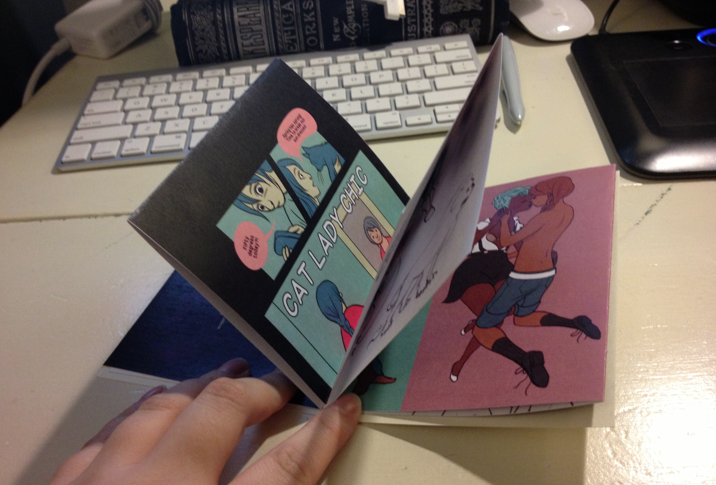 All the reason to come visit at MECAF in May! 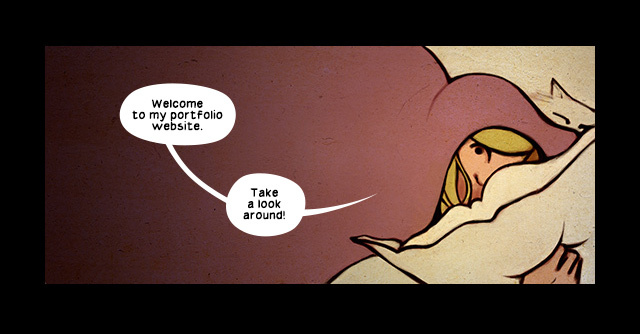 Also, this portfolio site is sorely in need of some TLC. Keep an eye out for a redesign in the next couple months. 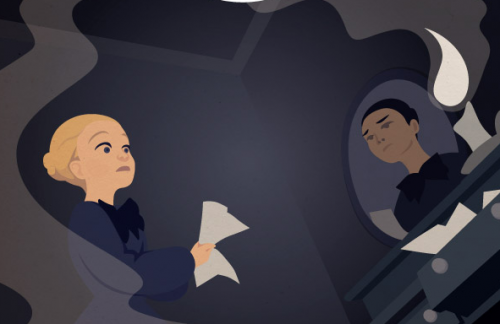 • I finished my graphic novel project with the Associates of the Boston Public Library. • Since then, I’ve been working as a Digital Arts & Humanities Fellow at Harvard University. My main gig there is designing/running the DARTH Crimson website, check it out! • This past spring I’ve also taught Foundations of Visual Design in the Communications and New Media department at my old school, Southern Maine Community College. It’s been awesome. • In a month and a half I’m graduating with a degree in Humanities from Harvard Extension School. Oprah is our commencement speaker. Let’s hope there are bees. This summer and upcoming year promise to be equally exciting, too! I’ve got some pretty cool stuff coming up, including lots of comics and an appearance at the Maine Comic Arts Festival. 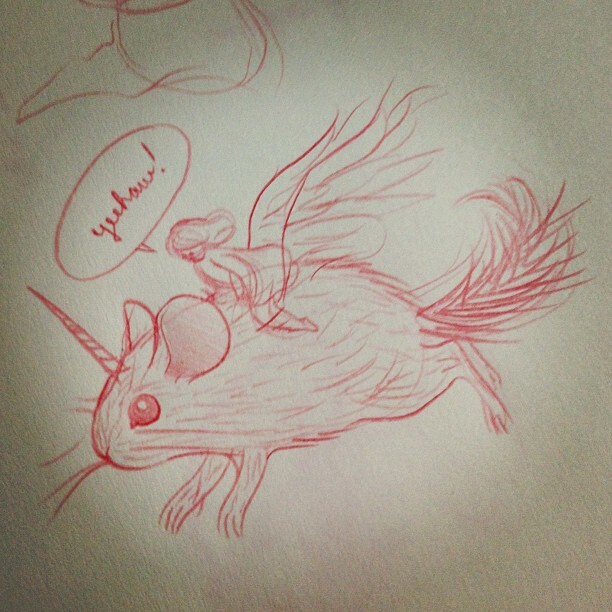 For more frequent updates, I’ve got a sketch/photo blog going at Tumblr. Follow me there! My fellowship as Writer-in-Residence with the Associates of the Boston Public Library is wrapping up as of June 1st and I’m currently looking toward the future. I have a few job prospects but also a new personal project as potential summer occupations, so we’ll see where life leads me. 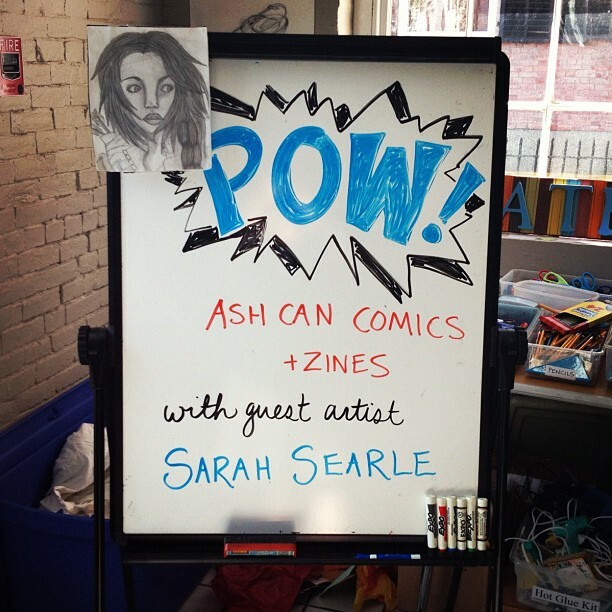 I’ve also been invited to Halifax, Nova Scotia to make comics for two weeks in June with the Roberts Street Social Centre. I can barely contain myself with excitement! 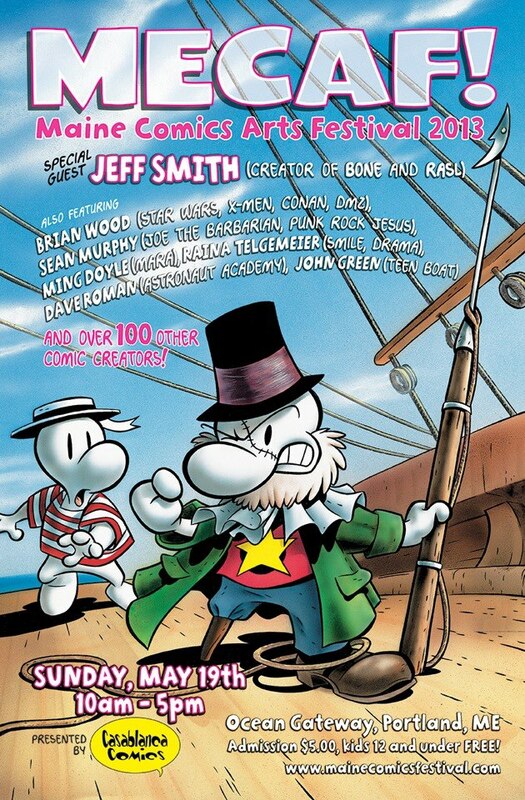 One week from today, on Sunday, May 20th, I’ll be at the Maine Comic Arts Festival in Portland, ME. 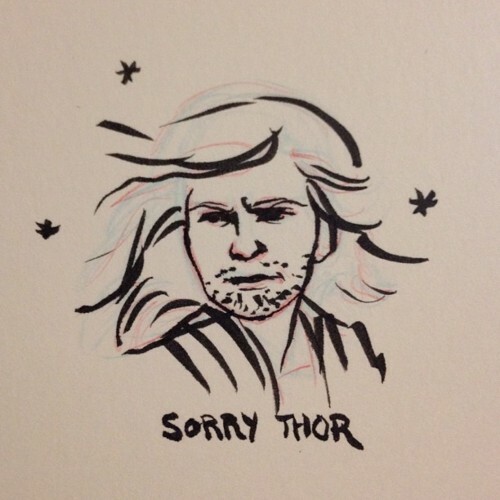 If you’re in the area, stop by for free postcards and Avengers doodles! 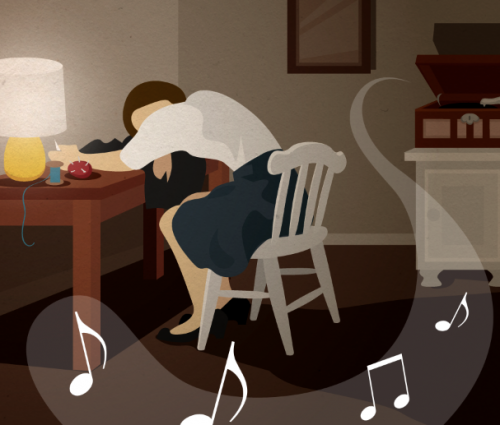 Then, after a short intermission, Under the Apple Tree will begin updates again on Monday, May 21st, and we are quickly approaching the homestretch. There are only a couple pages before the last chapter begins and we reach the thrilling conclusion. I’ve been updating my tumblr quite regularly with sketches and pictures of my cat, so if you’re interested in this sorts of things, follow me! I’ve been reading Bloody Jack, a cross-dressing swash-buckling adventure series by LA Meyer, and it is good. Really good. In my top five all-time favorites, even. In the second book, after pretending to be a boy and joining the English navy, Jacky Faber’s sent to a girls’ school in Boston to learn how to be a lady. 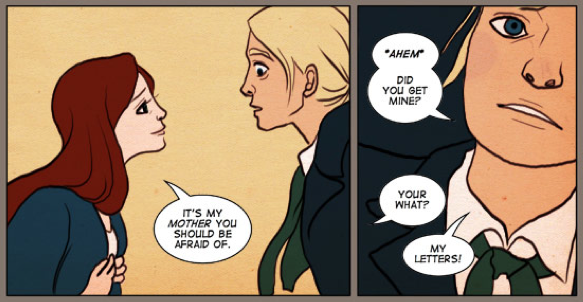 She meets Amy, and they have an adorable friendship. It’s my favorite book so far, mostly because there’s some really fun Boston history snuck in between bouts of mischief. I’ve been doing 30 minute warm-up doodles before working on pages for my graphic novel Under the Apple Tree (which has a Facebook page now, by the way), and decided to draw Amy and Jacky today. 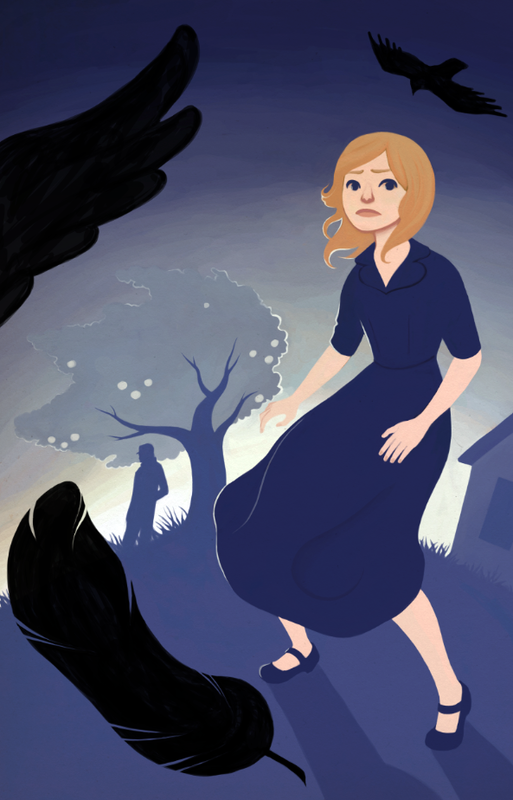 Secondly, Under the Apple Tree is going strong! We are entering the second-to-last (and my personal favorite) chapter, and the comic is on schedule to finish in June. If you haven’t been reading, now’s a great time to jump in as the plot picks up! 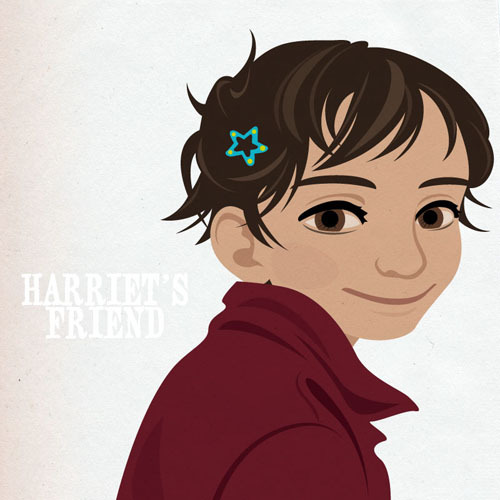 Thirdly/lastly, I’ve been working on the script and concept artwork for my next project, tentatively titled “Harriet’s Friend” (hopefully I will think of something better by the summer). It’s going to be transmedia, and I’m silly excited about it. 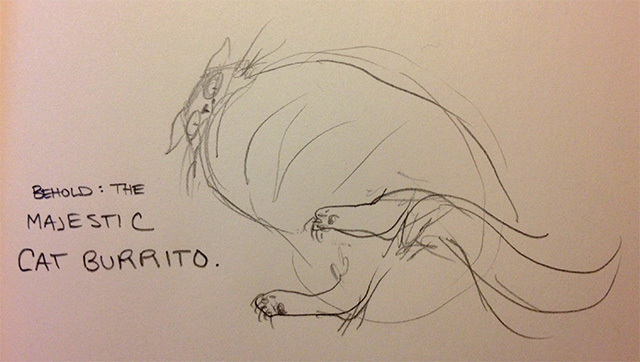 Keep an eye on this blog for updates, as well as my tumblr and/or twitter for art sneak-peeks! Today is Hourly Comic Day! 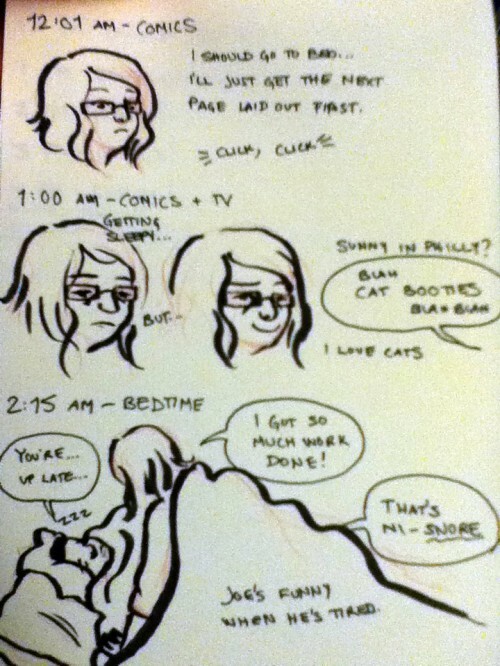 Here’s a glimpse into a normal day in my life. 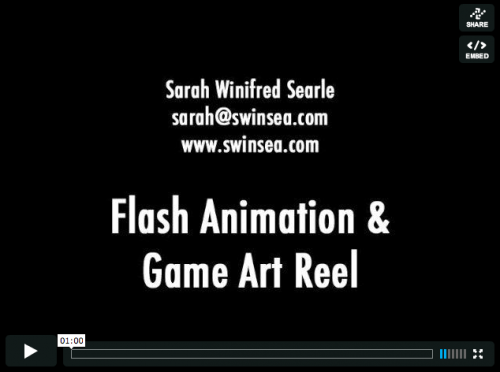 I have finally made a demo reel! Check it out. Also, I will be an exhibitor at the Maine Comic Arts Festival on May 20th in Portland, ME! Last Wednesday was the annual Children’s Writer-in-Residence reception at the Boston Public Library, where last year’s fellow, Elaine Dimopoulos, presented her finished manuscript, and I was introduced as the new. It was absolutely wonderful, I met some positively lovely people, and I am even more excited for the next seven and a half months! 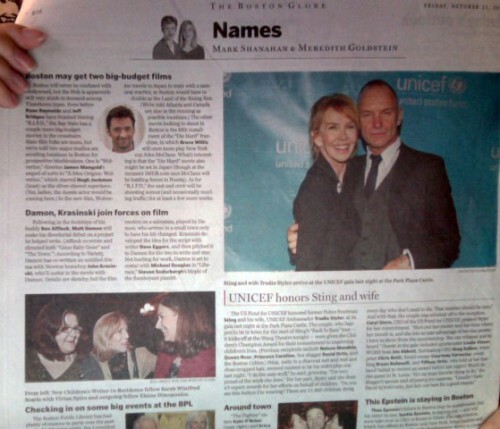 The reception was covered by the Boston Globe and I was surprised to see my face in the “Names” (celebrity) section on Friday, sharing the page with Sting and Hugh Jackman. I have to admit, this makes me feel pretty darn cool. Read the article at Boston.com! 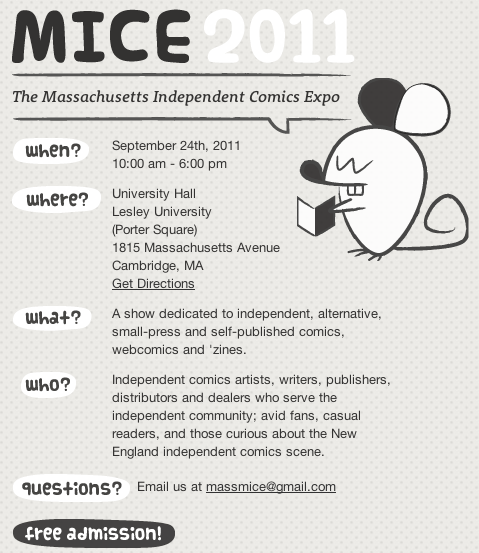 I will be an exhibitor at the Massachusetts Independent Comics Expo on Saturday, September 24 in Cambridge! I’m not sure what I’ll be bringing with me, but rest assured I will be pimpin’ some Under the Apple Tree action. Speaking of UtAT, twice-weekly updates have started. Read it, you know you want to! If you’re interested in keeping up with the progress of Under the Apple Tree, there are a couple places that are updated more frequently than this blog: DeviantArt (especially) and Tumblr. Also feel free to friend me on Facebook, follow me on Twitter or add me on Google+. The website is almost done and, mark your calendars, the first installment of the comic will be updated online on Labor Day (Monday, September 5th)! My Game Artist position with The Game Show Network wrapped up in July, and I’m using the rest of the summer to get a head start on Under the Apple Tree! It’s my goal to have the first chapter finished by the start of the fellowship in September so that my first day can coincide with the first update. For those unfamiliar with webcomics (the format I’ve chosen for UtAT), the comic will be serialized on its own website. I will post 1-3 pages at a time, twice a week, until it is complete. 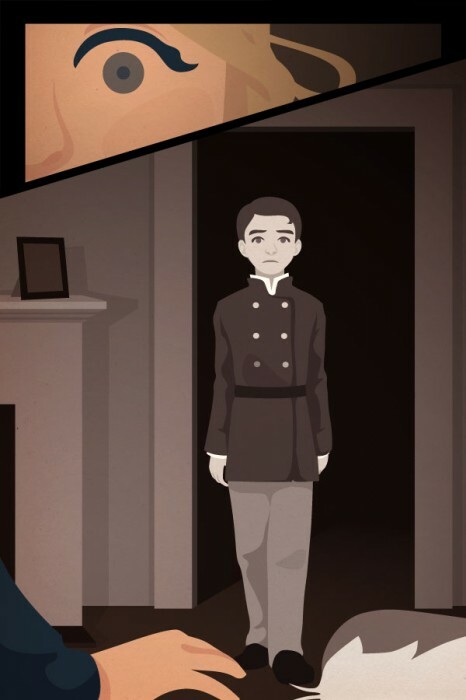 The updates will hopefully start on Labor Day, but as soon as the website is finished the first scene will be available to read. Stay tuned, within a week or two I will share the URL of the website! Huge thanks to Laura Hinds for interviewing me about the fellowship for the Danvers Patch! Tomorrow is my last day working full time at the Game Show Network before comics become my day job. I’ll remain at GSN for a short while as a part-time contractor to help maintain the game art before the torch is passed along, and I still have some exciting freelance gigs in the works, but Under the Apple Tree is about to become my priority. What an amazing (albeit slightly terrifying) thought. The Associates of the Boston Public Library have put out the official press release, and I am now on their website! I’m celebrating all over again, now it’s official! Also, T-minus eight work days until comics become my full time job. I think I’ll be staying at the Game Show Network part time for a little while, and I’m glad – working alone is going to drive me crazy enough as is! Thanks to a Living Social deal, I have coming to me in the mail 2500 little cards to hand out with Under the Apple Tree’s information on them. Thank goodness for coupons! I’m hoping these will help spread the word; once the website is up, I’ll be leaving them at libraries, comic shops, etc, so people can grab one and check it out later. I made this image specifically for that purpose, but the original is 11″x17″. Needs a bit of detail work, but I’m pretty pleased with the overall outcome. Say hello to the main character’s first appearance as Rosie! Last week I received some of the best news of my life. 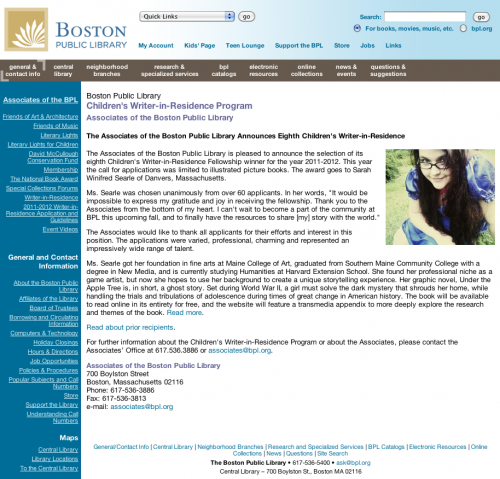 Every year, the Associates of the Boston Public Library offer a fellowship to an emerging children’s writer. From September through June, the individual is given a living stipend and a room of his/her own in the library in Copley Square. 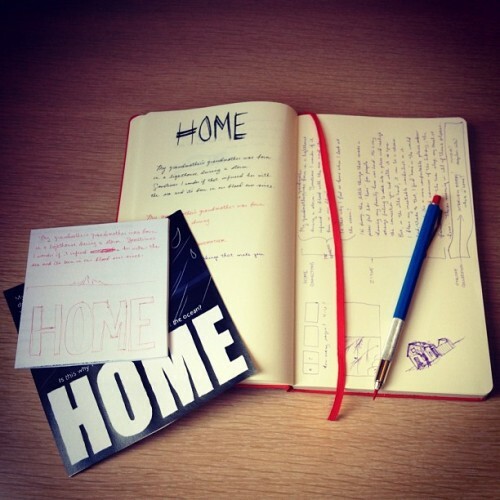 The purpose is to allow someone the resources to finish a book. This year I decided to apply, as they were seeking author/illustrators; I figured it’d be worth the bit of effort, even if it’s incredibly competitive, and that at the very least it’d be practice with putting together a book proposal. Last Monday I was informed that my contract with the Game Show Network will be ending soon. After a night of scrambling to apply for any creative job I am vaguely qualified for, I was not eager to get back to work the next day (but I went anyway). I got a call from an unknown number on my cell phone around lunchtime and almost ignored it. Fortunately I didn’t, and it happened to be Alan Andres, Secretary of the Associates. I figured they were doing brief phone interviews with candidates, and stepped out of the office for a moment to talk. I’ve cried happy tears for a week now, and have been receiving kind emails and phone calls from friends and family and past mentors and teachers. I’m overwhelmed with all the love I’ve received this past week. I consider myself one of the luckiest people in the world to have so much support, and to have earned such an amazing opportunity. June 3rd is my last day at GSN, and from there I plan on using the summer to get a head start on my project. 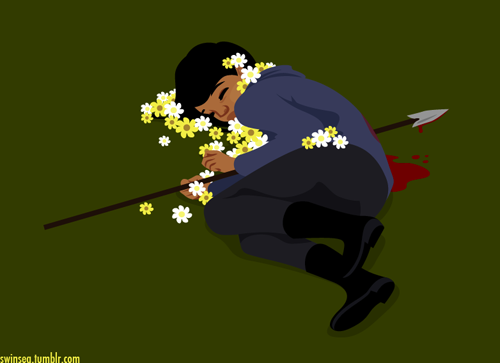 Of course, I will be doing Under the Apple Tree. 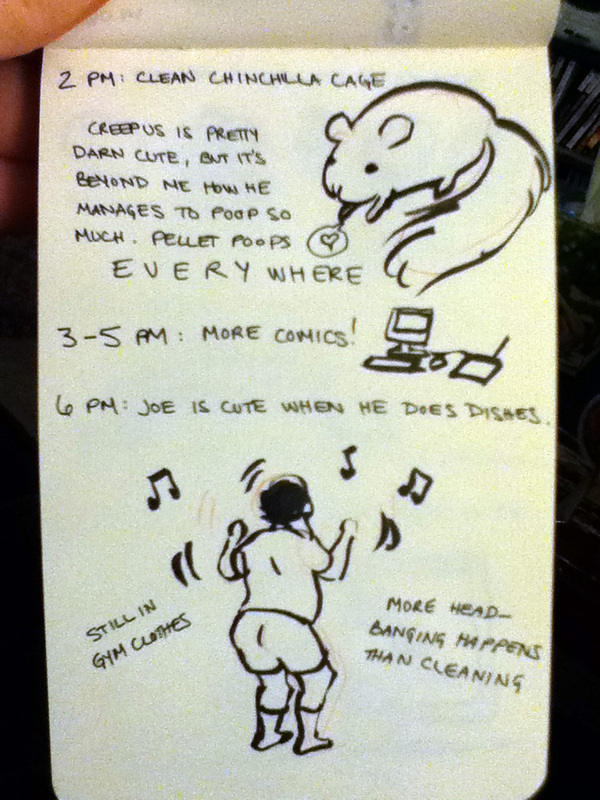 I’ve given myself a tall order, and if I hope to finish I’ll have to do about a page a day. 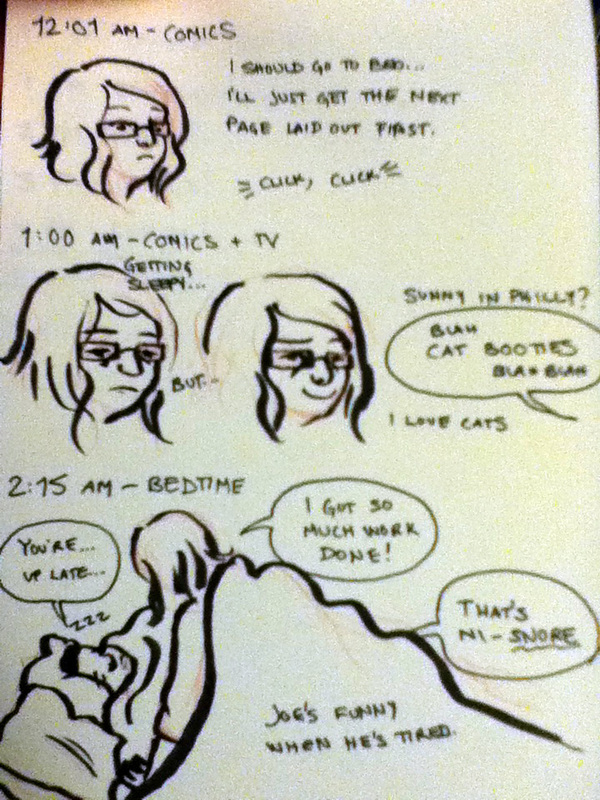 It’s doable, I’m just going to have to push myself to new levels of motivation and dedication toward my work. 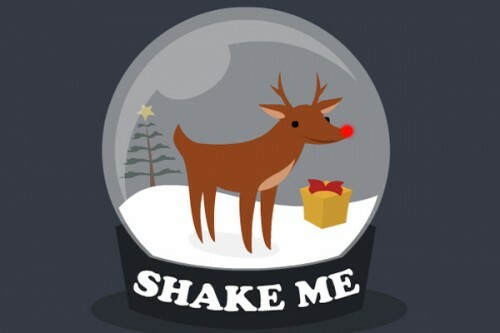 I’m ridiculously excited, and I can’t wait. I plan on using this blog to chronicle my endeavor, and hopefully will begin posting concept work soon (I’m starting from the ground up to produce the most consistent product possible). Thank you from the bottom of my heart to the Associates.